Does your vehicle require brand new tyres? A family run business that has parts whose quality will never be brought into question, Gilnahirk Tyres and Exhausts charge competitive rates which are difficult to match. We have 25 years’ experience which can be utilised to the advantage of our clients, especially as our mechanics are able to carry out all work to an exceptional standard. Why should a vehicle’s tyres be maintained? When tyre tread falls below the legal limit in Northern Ireland of 1.6mm, a driver can be fined 3 points on their license and an on-the-spot ticket fine of up to £60. If tyres aren’t roadworthy, a prohibition notice can apply on the vehicle itself. As a result, you could face court proceedings where a fine of up to £2,500 is levied per tyre. To avoid this situation, you should choose an auto shop which goes that extra mile. Located on the Upper Newtownards Rd, Dundonald, Belfast, we are open six days a week and can resolve issues with motorbikes and commercial vehicles. Gilnahirk Tyres and Exhausts have a drop in service but you can also leave your vehicle with us whilst you’re at work. You can count on Gilnahirk Tyres and Exhausts to provide the best quality tyres so that you will be safer when behind the wheel. Gilnahirk Tyres and Exhausts can help drivers with minimalizing the chances of fines being imposed on them because of the quality of their tyres. The chance of a driver and their passengers being put at unnecessary danger will also be reduced. 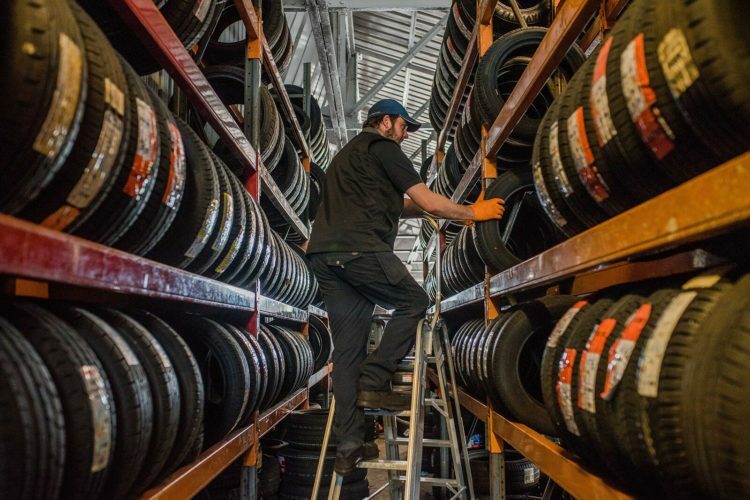 Gilnahirk Tyres and Exhausts stocks leading tyre manufacturers such as Continental, Bridgestone, Goodyear, GT Radial, Firestone, Michelin and Pirelli plus many others. Whatever tyre is required, we can get it within twenty four hours. Our prices can’t be beaten by any other auto repair company. If you’re given a cheaper quote elsewhere, we will match it and will fit tyres on the day that you’re given it. Warranties are provided on all parts and labour. All of our mechanics are very experienced and fully qualified. When a set of two tyres is purchased and our web offer is quoted, the cost of wheel alignment is cut in half. Work can be carried out to a vehicle that has broken down. Gilnahirk Tyres and Exhausts offer a call out service throughout the day. Even if a vehicle breaks down in the middle of the night, we can offer support. An email reminder service is available so that our customers don’t miss their appointment.